Learn to Dance at the Kallet! 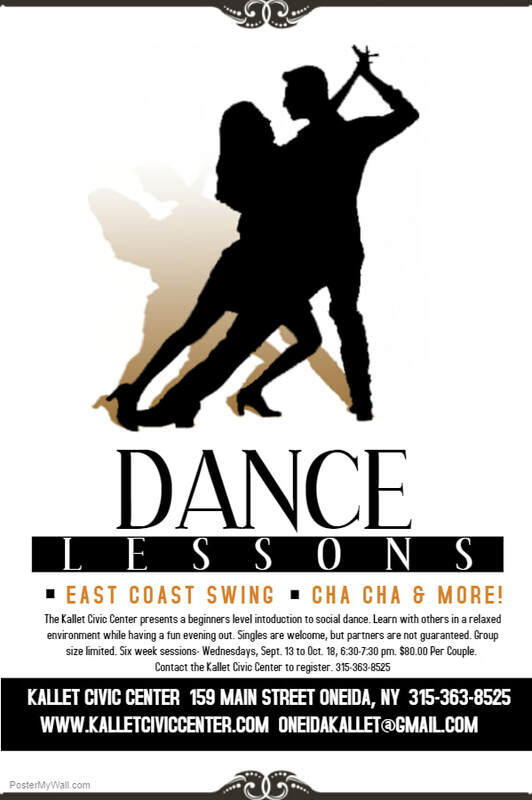 The Kallet Civic Center presents a beginners level introduction to social dance. Learn with others in a relaxed environment while having a fun evening out. Singles are welcome, but partners are not guaranteed. Group size limited. Six week sessions- Wednesdays, September 13 to October 18, 6:30- 7:30 pm. $80 per couple. Contact the Kallet Civic Center to register at 315-363-8525 or print off the registration form below and return to the Kallet with form of payment.